Check out Tobi's Idyllic Checkered Print Bomber Gingham on a bomber? Yup, you read that right. The Fifth Label's Idyllic Checkered Print Black & White Jacket will have you standing out in no time. 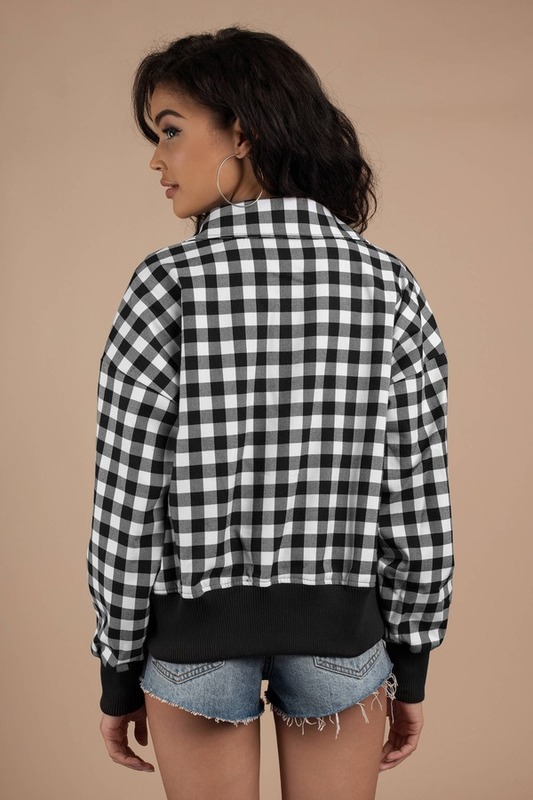 This collared jacket features checkered print and cuffed sleeves on a classic oversized bomber fit. Pair this patterned jacket with a bodysuit and skinny jeans for a chic summer to fall transition look. 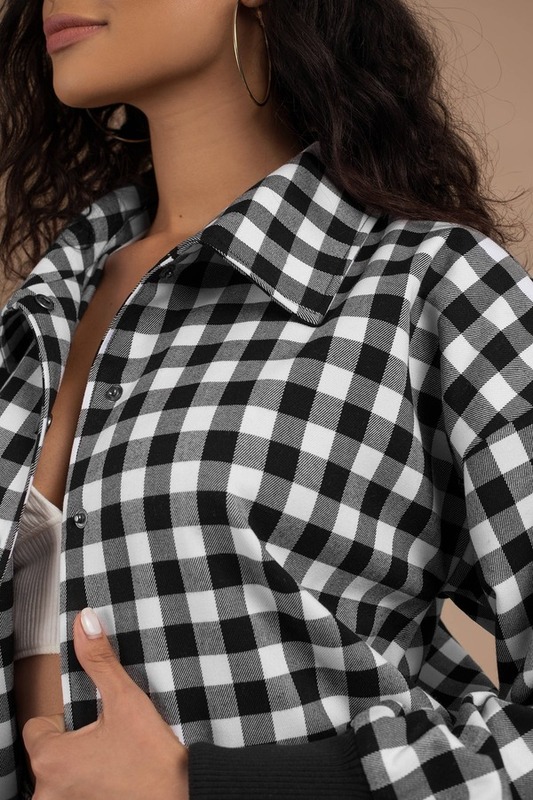 Gingham on a bomber? Yup, you read that right. The Fifth Label's Idyllic Checkered Print Black & White Jacket will have you standing out in no time. 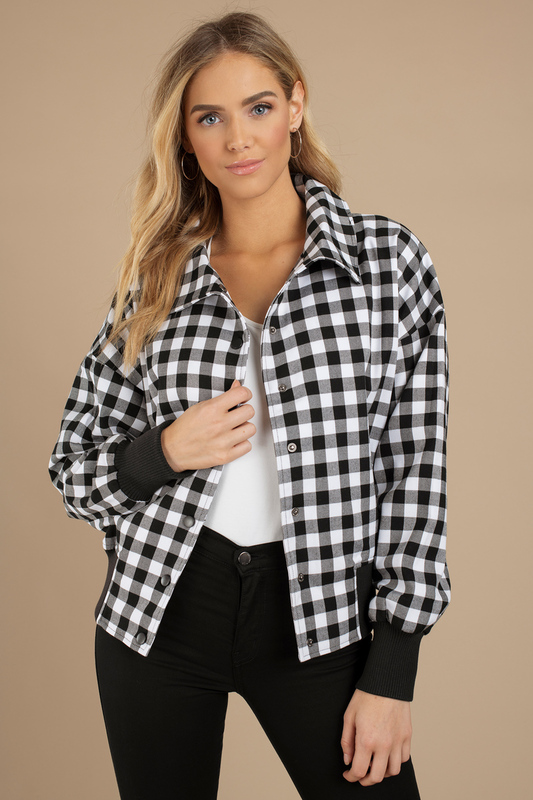 This collared jacket features checkered print and cuffed sleeves on a classic oversized bomber fit. Pair this patterned jacket with a bodysuit and skinny jeans for a chic summer to fall transition look. Black & White modeled on a size Small.